We’ve changed! We’re now joinin.com and have some great new features, plus all the existing, fantastic free organizational tools you’ve come to expect. Joinin.com is a social network that helps people make the most of their free time with the things they love doing. Our goal is to bring people together in the real world – To help everyone spend more time doing the things they’re interested in, with like-minded others! If you organize people you’re in luck – so does, Robin, our founder, and for the last 5 years he’s thought about nothing apart from how to help you organize others. If it’s public – we really help you promote it! From connections to social networks, plugins and links to data partners – and we’re just getting started! We agree, and we launched Joinin.com to bring people together in the real world. We do this by helping everyone with a shared interest – Join, Chat, Meet, Do. And by giving organizers free tools to help them organize the things that we all love doing! BTW – do you know that people who organize are mainly volunteers doing it for the love of it? We want to help them find you and you find them! All of us at joinin believe that everyone’s personal information is important and private and should be treated that way. That’s why we’ve spent years working out the best way to respect your information and deliver a service that you can use freely and securely. Eventility has announced its partnership with Cricket World, to create cricket.eventility.com, the Global Cricket Community. The Community uses Eventility’s ‘Engage’ solution, which seamlessly connects multiple clubs, events and cricket related activities together. It brings communications, events, payments, member and data management into one, easy to use place. ‘Engage’ helps solve the problem of managing and promoting networks and capturing meaningful, connected and up-to-date information. Cricket clubs get an easy way to organize and promote their own events and activities with a powerful suite of free tools. As coaches, organizers and managers post new content, it is updated in real-time to cricket.eventility.com, cricketworld.com and the soon to be launched mobile app giving an up-to date, unparalleled view of what’s happening in the cricket community. Eventility’s powerful free tools help clubs to organize everything from training to managing fixtures, to collecting subs and selling tickets. Simple email and SMS services ensure that players turn up on time and they can chat and share photos securely with their team in their own ‘live feed’. They can also manage and chat on the move with from the mobile app. Coming up on cricket.eventility.com are UK club cricket results, fixtures and top performances, UK club cricket Most Valuable Player ratings and exclusive prize competitions and cricket product offers. “The partnership with Eventility is going to be fantastic for Cricket World and club cricket in general. Not only does it provide clubs with amazing free tools to help manage their clubs, events and members, but the Engage solution powering the Global Cricket Community means we’ll always have the latest data for our members and clubs, as well as statistics to show participation across cricket.” Said Alastair Symondson – Head of Media, Cricket World. “As life long cricket fans and players, working with Cricket World to develop a Global Cricket Community and provide cricket clubs with free organization tools is amazing. At Eventility we’re committed to supporting sports generally by increasing and understanding participation and with Cricket World we’re delighted to be supporting cricket. Robin Brattel, CEO of Eventility. Helping Organizers Organize and People Take Part. Eventility® is the easy-to-use online platform specially built to help organizers organize events, clubs, groups, communities and places. 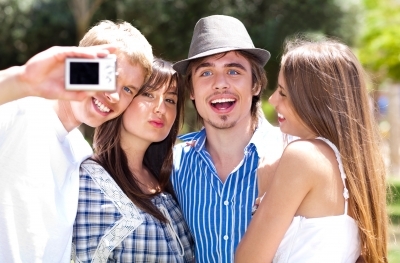 It also enables people to meet others with shared interests and for everyone to take part. We also work with associations, alumni and media partners to build national and global communities of connected people, events, clubs/chapters, places and content. Eventility removes the pain and hassle associated with running and marketing any activity or business, however large or small, via our website, mobile apps or API. Founded in 2011 by Robin Brattel, our independently backed business is now being used by thousands of organizers and people across the globe. Cricket World® is one of the world’s leading cricket websites and broadcasts both live cricket radio and cricket TV programming on the Internet. The Cricket World magazine was founded in 1987 and Cricket World‘s website http://www.cricketworld.com went online in 1996 and its content now includes – cricket live scores, cricket news, live cricket ball-by-ball text coverage of all Test cricket, ODI cricket and Twenty20 international cricket matches. It has one of the most comprehensive in-depth cricket statistics on all the international and first-class cricketers to have played the game and much much more. Our ever-increasing video production includes daily news updates, historical pieces and match reviews Monday to Friday as well as high-profile interviews with cricketers, administrators and fans of the game. We also produce regular cricket betting preview shows. We pride ourselves on providing extensive and insightful editorial coverage of all major cricket tournaments with a commitment to get news out to you quickly without sacrificing accuracy or integrity. We produce regular podcasts, both rounding up the daily news from around the world and catching up with our correspondents at specific tournaments. Our own unique Most Valuable Player Ratings give a snapshot of which players – from international to domestic and club cricket in the UK – are currently in form, taking into account all performances over the last 12 months and being updated daily. You can also use our historic MVP checker to see who was performing well on any date in history. July 30, 2013, London, UK. Eventility is pleased to announce its partnership with The National Volleyball League (NVL) to create a real-time, connected, online community of everything volleyball in the USA. The NVL is using Eventility’s ‘Engage’ solution for associations, which seamlessly connects multiple clubs, events and volleyball related activities together. It brings communications, events, payments, member and data management into one, easy-to-use place. Engage helps solve the problem of managing and promoting associations’ networks and capturing meaningful, connected and up-to-date information. Volleyball clubs get an easy way to organize and promote their own events and activities with a powerful suite of free tools. As coaches, organizers and managers post new content, it’s updated in real-time to the NVL and Eventility websites and mobile apps giving an up-to date, unparalleled view of what’s happening in the volleyball community. Founded by Albert Hannemann in late 2010, the National Volleyball League (NVL) has one mission: to unite the rapidly growing volleyball community and tap into the sport’s full potential by working with players and sponsors toward a common goal of delivering a one-of-a-kind sports entertainment experience. The NVL is a player-focused league that simultaneously allows fans unprecedented access to the sport’s greatest stars. Often produced in conjunction with large-scale lifestyle events, NVL tournaments are designed to showcase the players, sport and lifestyle of beach volleyball among new and existing audiences nationwide. Additionally, the NVL strives to elevate the visibility and credibility of beach volleyball by cultivating lasting relationships between the league and the greater community. Through education, coaching and accessibility, the NVL continually works to bridge gaps and drive the sport to new levels. At the core of this movement is a commitment to fostering meaningful relationships and collaborating with the entire beach volleyball community at all levels, including youth, junior, collegiate and professional. As a result, pro beach volleyball will finally have the opportunity it deserves to thrive on domestic sand. Our CEO Robin Brattel and our Account Director, Adam Harris were lucky enough to jet out to sunny Orlando, Florida last week. 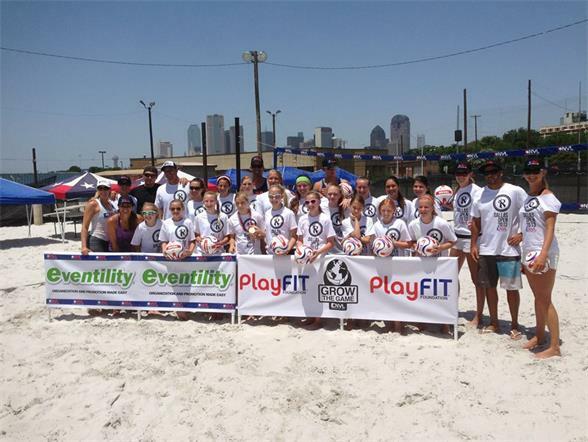 We didn’t want them coming back with too much of a tan though so we sent them off to the USA AAU Girls’ Junior Volleyball Championship to spread the word about Eventility. We must say, they did a great job and the outcome is that there are going to be some exciting new developments for Eventility in the coming months. At the same time the guys were in Orlando, we also had a branded presence over in Texas at the National Volleyball League Texas Championships. Even better, our video was played in between games and was seen by over 200,000 people. America here we come! We asked Adam to provide us with an insight about who they met and what they got up to whilst in Orlando and he was kind enough to answer the following questions. 1) What was the purpose of the event? It was the 40th Amateur Athletic Union (AAU) Girls’ Junior National Volleyball Championships. 2) Who was at the event? It was absolutely jam-packed full of people from all over the USA. There were 1,997 teams from 40 regions, 25,000 under-18s girls playing volleyball every single day, the families of the athletes, staff from AAU, the National Volleyball League (NVL), more than 400 college coaches, club directors, regional directors, the Junior Volleyball Association (JVA) and a whole host of vendors, including Rox Volleyball. The only downside was that it was physically impossible for Robin and me to get round to talking to everyone who was there. 3) Where did the event take place? The event was held in two venues. One of them, ESPN Wide World of Sports and the main venue was The Orange County Convention Centre. This is the largest indoor sports facility in the world and last year they broke world record for hosting the largest volleyball tournament. 4) What did you do at the event? We were certainly kept busy during our time in Orlando. We met with the NVL, networked with coaches and club directors who are interested in using Eventility and even managed to sign up coaches who were so excited about the concept that they wanted to get started straight away. We also met with the JVA and AAU who were interested in finding out more about Eventility and attended a seminar about the future of Sand Volleyball, which is actually one of the fastest growing sports in the USA. We were also really excited about meeting the great people at Rox Volleyball and are looking forward to working with in the future. 5) What did you achieve from attending? We feel like we well and truly spread the word about Eventility. So many great associations and tours such as the NVL, JVA and AAU, and companies like Rox Volleyball now know about us, and lots of volleyball coaches are already signed up to Eventility. It looks like we’re going to have to send Adam and Robin away more often after they did such a great job. Stay tuned for regular updates on more exciting news about our recent developments and progress in America. Eventility.com is a website that helps organizers organize and people take part and we’re dedicated to bringing people together around their passions. Sign-up now to use the powerful suite of free tools to help organize almost anything. It may not feel like it with the unpredictable weather, but summer is now well and truly upon us. This means that come rain or shine, there are a whole host of brilliant events coming up across the UK for everyone to enjoy. Whether you prefer music festivals, camping out or sporting events, there certainly is something for everyone. Here is a round up of some of the best events coming up in the next couple months. 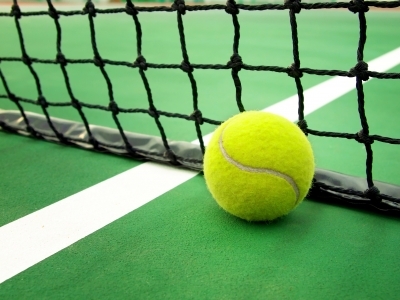 Monday 24th June saw the start of the famous and popular tennis competition, Wimbledon. Running right through until the 7th July, spectators can watch the matches from the comfort of their home on the television or even get tickets to see the live events. It’s no wonder that Wimbledon is so popular, it is the oldest tennis tournament in the world and is widely considered to be the most prestigious. With tickets always selling out within hours of going on sale, Glastonbury is by far the most popular festival in the UK. Taking place on the 26th – 30th June, this year the line up promises to be one of the best yet. With acts like the Arctic Monkeys, Rolling Stones, Primal Scream, Dizzee Rascal, Jake Bugg, Smashing Pumpkins and many, many more there is definitely more than enough choice for attendees. For the unlucky people who didn’t get tickets, why not get a group of friends together, have some drinks and watch it on TV? You can even set up a group on Eventility to make planning and communication simple and effective. The Grand Prix heads to the UK from the 28th – 30th June this year and as always, it promises to be a thrilling weekend. Formula 1 fans can choose whether to get tickets for the whole weekend which will include testing and qualification or just for the big race itself which will take place on the Sunday. Every summer, Henley-on-Thames comes to life during the Royal Regatta and this year the event will take place from the 3rd until the 7th July. 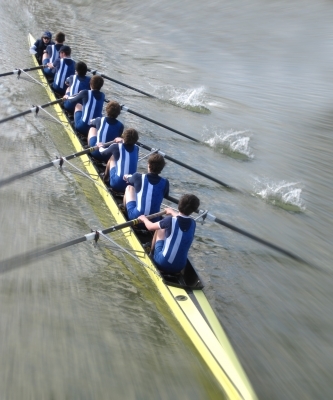 First held in 1839, the Regatta is a unique rowing event that comprises of 100 world-class races over five days. With the opportunity to see some of the Olympic stars battling it out in beautiful surroundings, the event has long been popular for both corporate and social entertaining. From the 3rd-14th July 2013, music lovers can enjoy high-calibre performances, magnificent venues and a huge variety of music at the Cheltenham Festival. With excursions into world music, film, dance, visual arts and the spoken word, this musically centred cultural banquet has very few rivals in the UK when it comes to such high standards. If you want to set up an event, club, group or community this summer, why not do so through Eventility? With everything you need in one easy to access place, it really couldn’t be easier. The British Ju-Jitsu Association GB National Governing Body (BJJAGB) has been offering instruction and training in Ju-Jitsu since 1960. Located in Accrington, Lancashire, the British Ju-Jitsu Association National Governing Body has produced champions in life as well as in the martial arts. The British Ju-Jitsu Association was originally founded in 1956 by Soke James Blundell and was later re-constituted in 1988. It included other affiliated Ju-Jitsu associations from around Great Britain. 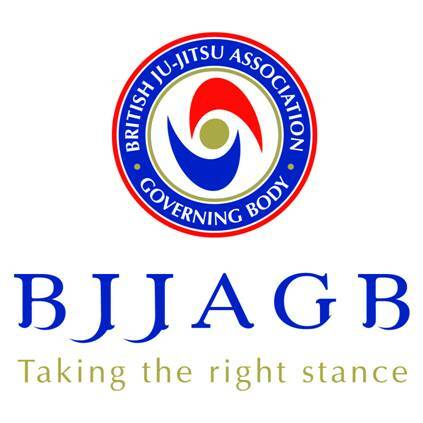 Together, these clubs and associations approached the British Sports Council (now the UK Sports Council) to establish a single Governing Body for the Martial Art of Ju-Jitsu in this country and as a result, since 1993, the BJJA has become the British Ju-Jitsu Association Governing Body. Difficulty pulling together accurate national diary information to put on their website. How Has Eventility Specifically Addressed Those Problems? Eventility Engage solves the problems of data and membership management for associations with multiple connected clubs, groups, events and facilities. Eventility gives a platform for their connected clubs and groups to organise and promote their activities. Eventility provides a website, mobile apps, text and email services, range of plug-ins and website templates to organise and promote their activities and an API for the associations to manage their data. Eventility presented the Engage Solution to the BJJAGB National Congress in October 2012 and it was enthusiastically received with clubs signing up to use it there and then. What Are The Top Features the BJJAGB Love About Eventility? Martin Dixon, Chairman, British Ju-Jitsu Association Governing Body. 5 Avenue Parade, Accrington, Lancashire. It might seem unlikely at the moment but believe it or not, summer is just around the corner. Needless to say, chances are that now is the time that a lot of us are starting to think about getting fit, toning up and losing a few of those winter pounds. As well as helping you to look good, the benefits of exercise are plentiful and can have more of an impact on your life that you could ever imagine. So whether you’re a gym bunny, football fanatic or prefer throwing a frisbee around the park, here are some very good reasons why you should get started sooner rather than later. Whatever your age, there is strong scientific research that being physically active can help you to lead a healthier and even happier life. According to the NHS, regular exercise can reduce the risk of major illnesses such as heart disease, stroke, diabetes and cancer by up to 50%. Incredibly, it can also lower the risk of early death by up to 30%. Research shows that physical activity can also boost self-esteem, mood, sleep quality and energy levels. It also reduces the risk of stress, depression, dementia and Alzheimer’s disease so what are you waiting for? Whether it’s a session at the gym, taking the dog for a walk or ditching the car for a bicycle, the benefits of exercise can be felt immediately. We all know that when you engage in physical activity, you burn calories. The more intense the activity, the more calories you burn which makes exercise a fantastic way to prevent weight gain and maintain weight loss. Even if you can’t find the time to do an actual workout, becoming more active throughout the day can have a massive impact. Taking the stairs instead of the lift, getting off the tube a stop earlier and walking the rest of the way, cleaning the house and doing squats during television advert breaks are all great ways to incorporate exercise into your everyday life. Taking up exercise can be a great way to meet new people. Whether you join an aerobics class at the gym, a football team, tennis club or bowling group, chances are that you are going to meet other like-minded people. With everyone feeling great from the physical activity, moods are going to be uplifted and chances are, new friendships will be formed. Believe it or not, exercise can be a lot of fun. 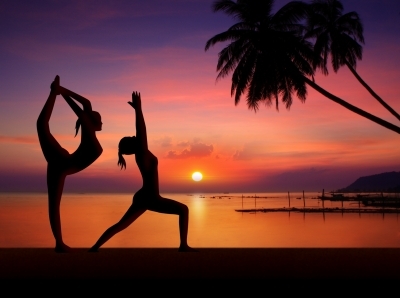 It gives you a chance to unwind, enjoy the outdoors or simply engage in activities that make you happy. Whilst going home from work and sitting in front of the television all night might seem like the more tempting option, it’s not going to send you to sleep with a smile on your face. However, going to a class or club will release those endorphins, enable you to socialise with others and best of all, leave you feeling ready for what tomorrow may bring. If you are looking for different ways to exercise, Eventility has thousands of sports clubs, groups and communities using the website. Feel free to search for inspiration and get ready to start feeling great about yourself today. When was the last time you did something for the first time? Chances are it was weeks, months or even years ago. Whilst some of us love to experiment and engage with new ideas, for the vast majority, we tend to go through everyday life with the same rituals and routines. While being creatures of habit may be comforting, we often forget how much fun it can be to develop a new skill. As well as igniting your life with a bit of fun, passion and excitement, here are some other important benefits of learning something new. Do you remember how good it felt the first time you rode a bike without the training wheels? Forced yourself to go the gym and complete a good workout? Painted and decorated a room just the way you wanted to? Achieving something for the very first time gives us a massive sense of achievement, boosts our pride and can keep us smiling for days on end. This amazing feeling is what you are missing out on when you get stuck in the same old habits so why not take up boxing, join a bowling club or give that activity you have been talking about for years a go? Do you think you’re too busy to add a new hobby into your already hectic life? Think again. Adding something new to your daily or weekly schedule is proven to sharpen your perception of time and time management. In fact, many time management gurus recommend this technique because in order to do the thing you want to do, you will value your time more and use it better. For those of you who use the excuse that you don’t have enough time in your schedule, chances are that you do, but there is nothing new to push you to organise yourself better. Joining a club, organisation or taking up a new hobby ensures that you are bound to meet new people. Even better, chances are that you are likely to have similar taste in things which paves the way to great new friendships. Meeting new people also gives you access to new views and ideas and best of all, you are sure to meet some interesting characters along the way. Learning something new gives you the opportunity to grow and improve yourself. When you push yourself, you will find that you will grow in many other aspects of your life, and you never know, you may even discover a hidden talent you never knew you had. Whether it’s joining a sports club, art class or helping to raise money for charity, the possibilities are endless when it comes to trying something new so what are you waiting for? At Eventility, we have thousands of registered clubs, groups and events using the website so why not search for inspiration and get ready to learn something new today! New Year resolutions have been made since the beginning of time. The ancient Babylonians made promises to their gods at the start of each year that they would return borrowed objects and pay their debts. The Romans began each year by making promises to the god Janus, for whom the month of January is named. In the Medieval times, the knights took the ‘peacock vow’ at the end of the Christmas season each year to re-affirm their commitment to chivalry. It’s now getting close to the end of January, and the New Year and any resolutions we may have made seem like such a long time ago. We might have promised ourselves go to the gym more often, get up-to-date with the DIY, drink less, join a club, learn a new language or even fall in love. So, did you make a resolution and keep it, or did you, like so many other people give up after a couple of weeks? It’s pretty common at this time of year to find people breaking their New Year resolutions. A 2007 study by Richard Wiseman at the University of Bristol involving 3,000 people found that 88% of those who set New Year resolutions failed, despite the fact that 52% were confident of success at the beginning. Last year, an Interflora New Year resolution survey found that just 33% said they expected to keep their resolutions for the whole year, 56% were unsure and 11% said that they expected not to keep their resolution. Those sceptical ones were proven right, of the 39% who said they made a resolution in 2011, just 5% managed to keep theirs for 9-12 months. Over a third of last year’s resolvers lasted less than three months with their New Year aims. What kind of resolutions do people make and break? Why are we so bad at keeping resolutions? 1. Didn’t make a plan for it – A lot of people forget that a resolution is really just a goal and it requires structure, otherwise, it’s just a wish. 2. Forgot the reasons why you were doing it – Motivation matters and if you don’t know why the goal is important, it’s easy to drop. 3. Didn’t plan for setbacks – No one is perfect, we all fall off the wagon at some point. You need a plan for what to do when this happens and how you’ll get back on that horse. 4. Didn’t have a strong support network – Support is important with any goal, it’s important to surround yourself with people who believe in what you’re doing and want to see you succeed. 5. Took on too much too fast – Many of us get a little over-keen around the New Year, we want to make huge leaps of progress overnight, but real growth is a slow and steady journey. 6. Weren’t accountable to anyone – it’s easy to get persuaded by that nagging negative voice inside your head that says you’re not cut out for this. An accountability partner helps keep you focused and on track, even when you think you’re ready to throw in the towel. 7. It wasn’t that important in the first place – Perhaps you set a goal that others wanted you to set or one you felt you ‘should’ set. It’s easy to give up on something that never really mattered that much to you in the first place. So, what are the hints for keeping your New Year resolutions? 1. Choose a goal that matters – Don’t do it for anyone else but you. If it’s not something you truly believe in, you’ll never succeed. Take some time out and reflect upon what you really want to achieve. 2. Avoid previous resolutions – Often re-visiting a past resolution sets you up for frustration and disappointment. Choose something new or approach an old problem in a new way. For example, instead of trying to lose 3 stone in weight, try exercising more. 3. Plan ahead – Look for possible obstacles and prepare for how you’ll deal with them. 4. Take it one step at a time – Often people make the mistake of trying to achieve too much. The chances of success are greater when people channel their energy into changing just one aspect of their behaviour. 5. Recognize that things will get hard – Unexpected obstacles will get the better of you but that’s no reason to give up completely, find ways to forgive yourself and keep motivated. 6. Gather your supporters – Let them know what you’re doing and why and ask if you can count on them to help you reach your goal. Joining a club or group is a great way to get support from like-minded people and help spur you on when you feel like giving up. So, if you want to improve your health consider doing classes – Aerobics, Zumba, Sh’bam and Pilates are popular ways to get fit and help lose weight. There’s also the group mentality, which is perfect for that extra ounce of moral support. Want to meet new people and try something new? Then joining an existing activity group or club could be what you need. Why not use Eventility.com, to set up your own sports or activity club or join an existing one – you can search for what’s on in your area. Eventility is free and really, really easy to use. 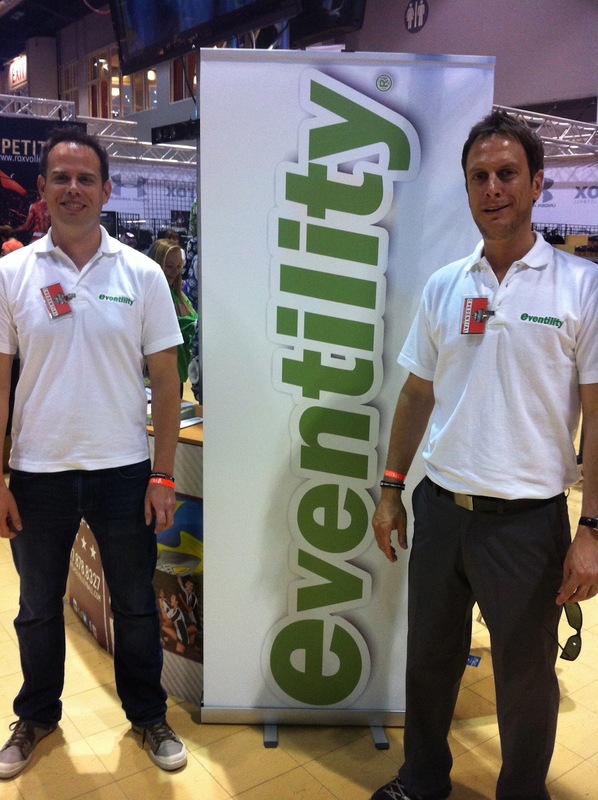 Of the 6000 plus clubs, groups and communities that use Eventility.com to organise and promote their fixtures and events, sport is one of the most popular areas. Local clubs and teams, as well as sports organisations such as the Sport and Recreation Alliance and spogo are turning to the web to help reach potential new members, communicate with existing members and organise their activities. As our CEO, Robin Brattel, says: “Organising a team or club has always been a tricky business, frequently involving the time consuming process of emails and last minute text messages. But social media platforms like Eventility have the power to change all that by providing a free one-stop-shop for team or club organisation and promotion”. With that in mind, we put together this infographic (below) to look at how sports clubs of all sizes are using social media platforms successfully – and some rather less successfully. As you’d expect, the London 2012 Olympics were a huge social media triumph. There were over 150m tweets about the Games and 67% of British adults used social media to follow the action live. Spice Girls aside, Usain Bolt attracted the most mentions with tweets peaking at 80,000 per-minute following his victory in the 200m. Of course, here at Eventility we’re especially interested in how local sporting events make use of the web. It’s encouraging to see that 76% of sports event organisers use social platforms to promote their events, but this figure is only 50% when looking at smaller events. 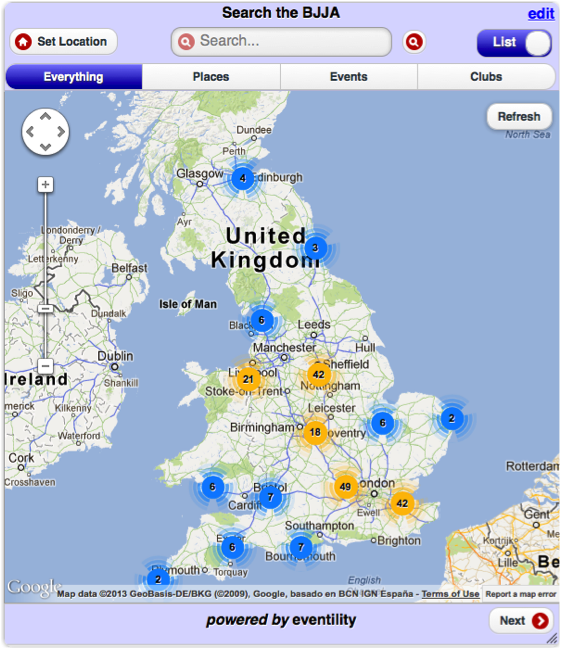 I’m sure this will improve throughout 2013 – and we feel we’re playing our part by offering an amazing free platform to help clubs stay organised. Just in case you missed our pitch: Eventility helps teams and groups to save time, effort and resources, and to communicate easily with members and reach out to new members. Follow our blog and receive notifications of new posts by email. decline and Eventility launch global MTB community with competition and over $10,000 of fantastic prizes.